Interested in learning how to start a business? Did you know you can start a blog and turn that into a business? I’ve been blogging for over three years. I have two blogs – Elna Cain to help with freelance writers and Twins Mommy to help moms make money blogging. I get emails all the time asking for help on starting a blog for their freelance business or as a way to earn an income and grow their brand. If you’ve been thinking that you want to start a business and a blog, now is the time! A blog is versatile. You can use it to promote your service – coaching, freelance writing, Pinterest management, etc. – and you can use it to grow your audience, brand, and income. Starting a blog has also been the best decision I’ve ever made. I’m able to stay home with my twins (they just started school!) and earn a living doing what I love – writing and blogging. 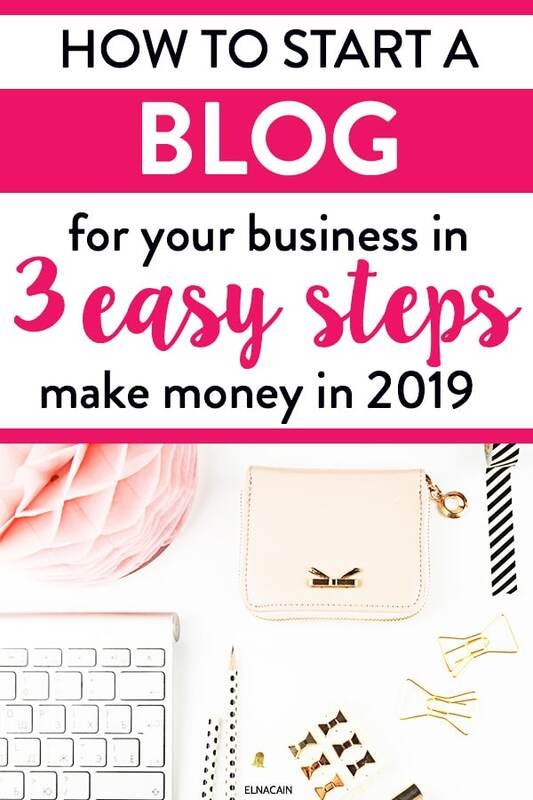 If you’re willing to put in the time to create a successful blog for your business, then you can work from home and enjoy doing what you love to do! These blogs help bring in income as a side business or full-time business. I’ve had so many people email me and tell me their personal story for wanting to start a blog for their business, but they just don’t know how to do it. One thing is for sure: it’s essential to have a website or blog to help attract potential clients (or readers for your blog). It’s hard to have a successful business online without a website! Note: the term blog and website will be used interchangeably. I view a blog as part of your website and you can base your business off a blog too. So, if you’re ready, here’s how to set up your website in only 3 steps. It’s super easy, “techy” free and if I can do it, then I know you can do it too! When you start a business, you need to refine your message. This is what your foundation is for your business. It’s also your blog niche. Your blog niche – one that can ultimately be your paying niche as a blogger or freelancer – is an important first step to having your own blog. This can be hard for many people. It was for me. 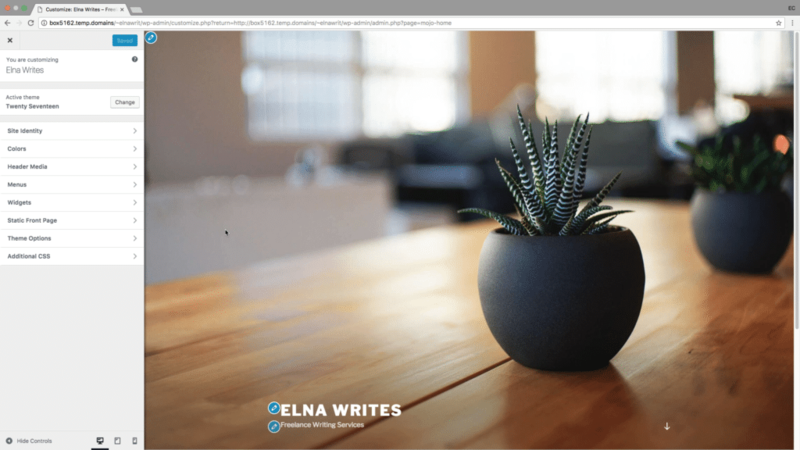 When I started blogging on Innovative Ink (I later moved it to Elna Cain), I wrote about what I was learning – freelance writing. It was sort of a no-brainer and….it stuck! But for Twins Mommy, I struggled to find the right content for the right audience. It took some trial and error – and different niche topics – to finally stick to topics centering around growing your blog. Well, how do you find your paying niche? Use what you know. If your background is in finance, then you can start and grow a business in this topic. You may not like it and it may be the reason why you want to quit your finance career, but you can leverage that experience and knowledge – in the beginning – to get your blog off on the right foot. Maybe there’s a topic that you’re interested in learning more about. For me, the more I learned about marketing my business, the more interested I became in writing about that as my paying niche. If you have a passion for camping, WordPress, entertainment, etc., then use that as your starting ground for blog content. Write about it on your blog and see if it’s a good fit for you. The beauty of blogging is that you can pivot to new topics easily. Is Your Blog Niche Profitable? If you want to be a freelance writer, then you need to pick a profitable niche. Niches like these pay a writer hundreds of dollars per post. To find out if your niche topics are profitable, you need to do some research. This can give you an indication if your niche is popular and needed online. Your website name should be representative of your blog and business. For me, I decided on Innovative Ink as my service. It seemed to represent what I do. I later realized that using that name may not have been the best option. Because for new people seeing that name, it almost looks like a content agency or big business with multiple staff. It doesn’t show that it’s just me. I also used a local country domain (.ca) and in hindsight I should have used a .com for a global audience. That’s why later I switched to ElnaCain.com! This uses my name to brand what I do. When I show you how to start your blog using my special link at Bluehost, getting your new domain registered is absolutely free! If in doubt, use your name (if you can get it). Variations of your name include adding writes, biz, blogger, blogging, business, content, etc..
One thing to consider when choosing your domain name is to also think about your social media names. Yes, I said social media. Having a blog gives you the opportunity to share what you write, and to connect with others. You do most of your connecting on social media like Facebook, Pinterest, and Twitter. So when thinking of your domain name, check to see if it’s available for your Facebook page or Twitter profile. Continuity means people can easily find you. This site, Elna Cain, is a WordPress.org site. This means it’s self-hosted. This means I have complete control over my content and my monetization strategy. If you want to run a blog or even offer a service like freelance writing, then having a self-hosted site is your BEST option in the long run. This gives you the capability to start a business, look professional and be credible. There’s a big WordPress community out there. This means if you have a question, you can probably find the answer in a blog post or YouTube video. And the best part is, you can set up a WordPress blog in under 10 minutes! It’s super easy too! When I started my freelance writing business, I wanted to make sure to have a secure and reliable web host and Bluehost is one of best and most popular hosting providers out there for those wanting to start a blog or service-based business website. Check out some of their awesome unique features! 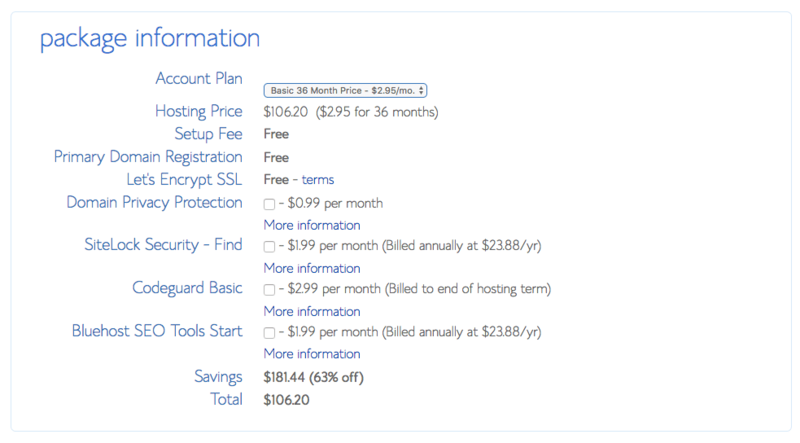 With Bluehost, you receive a free domain when you sign up using my special link. Right there, you’re saving $12-15 or more. 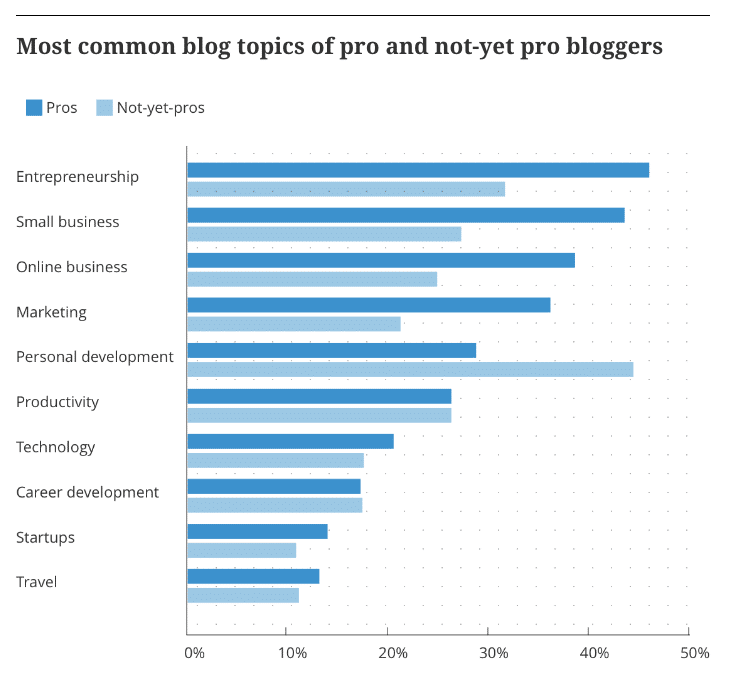 Super important if you’re bootstrapping your blog or business. Registering a free domain is something that a lot of other web hosting providers don’t provide for their customers. So make sure to take advantage before Bluehost changes their mind (this recently happened at another very popular host…for reals)! One of the great features about using Bluehost is the support for new bloggers and freelancers. I’ve used the chat many times and they’ve been super helpful (and just this morning I was on the phone. In and done…question answered…in less than 3 minutes). When you choose Bluehost, you can install WordPress with one click of a button. Actually, with the new updates and control panel Bluehost just released, it’s automatically installed when you sign up and you don’t have to do a thing! I’d say it’s as easy (and easy to use) as Squarespace or Wix…at a fraction of the cost. This makes it a cinch to get your freelance business up and running right away. When you start a business and website you want to keep your costs down. You’re not generating any income right off the bat, so investing in your business can be hard in the beginning. Bluehost has made it affordable with their plans and when you use my special link you can get started for as low as $2.95/mo). You can even start your freelance writing business for under $60 (if you decide to choose the one year plan instead). That’s amazing! Just think about when your parents were your age and how expensive it was to start their own business. They would need to rent out space, buy business cards, and buy ad space in newspapers or on TV. That’s a lot of money for a brand new business! When you compare that to having your own website that can potentially generate thousands of dollars per month, for about $100 or less, it’s a no-brainer! So, you can see that starting a website for your blog or service-based business doesn’t have to be daunting or expensive. Once you choose Bluehost, just follow this easy and quick tutorial on how to start a blog for your business! Let’s get started. Just click on over to Bluehost and follow along! For more help, I have a video tutorial on starting a blog just for you! Follow along with me! After you click on the big green button that says, “get started now” your next page shows the plans. 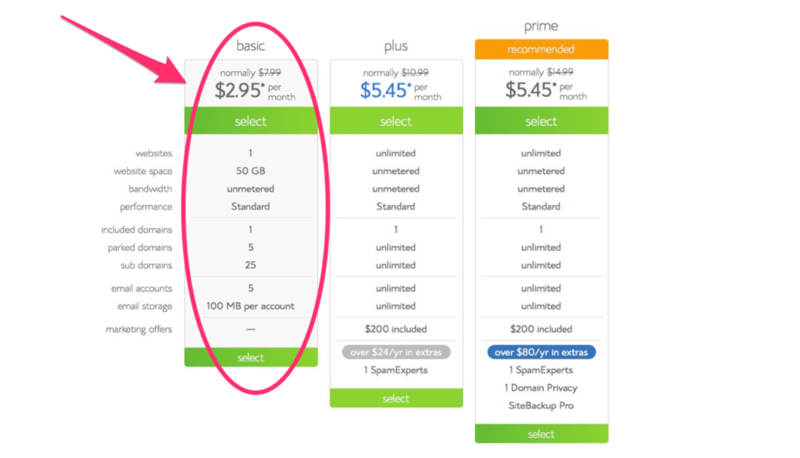 There are three main plans Bluehost has for you: basic, plus and prime. If you want to host multiple sites (i.e. have more than one blog or business online) or need unlimited storage space, you can go with the plus plan from day one. Let me tell you, creating sites is so addictive, I’ll bet you can’t just stop at one! And if you’re planning on getting domain privacy (highly recommended), the SpamExperts and SiteBackup service, check out the prime plan because it’s included for free! But if you’re just getting started, or if cash is super tight, the basic plan has all you need to get going. It’s perfect for new freelancers and bloggers. You get one website (and a free domain) with plenty of website space to get your business up and running. 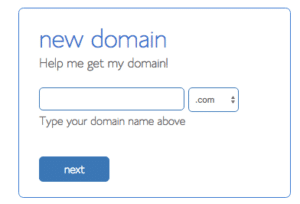 Remember the domain names you were choosing from before? This is where you can check to see if it’s available in a dot com. I highly suggest you get a dot com rather than a dot something else. That’s partly personal opinion, though. Remember that your domain name needs to represent what you do as a blogger or freelancer. You can use your personal name as a domain too. This might be the best thing if you feel that you may want to pivot your business some day. For example, you start out as a VA (virtual assistant) but later learn that most of your VA tasks are writing and you change to be a freelance writer. If you use your name then you can switch that easily. But, if your domain name is rebeccatheVA, then that will be a bit more challenging. So, really sit down and think about your ultimate end goal. What is the main service you want to provide and can you see yourself doing this long-term? Once you pick your package, the next thing is filling out your information. Go ahead and fill out your account information and choose the package you want. Remember, you save the most money when you choose the 36 month plan…and you don’t have to worry about paying for hosting for the next three years. One thing to note, you can use a credit card to pay or use your PayPal account. Next, you need to set up a password for your Bluehost account. 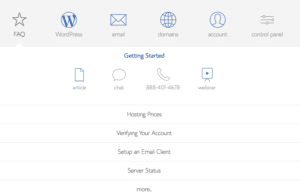 Bluehost makes installing WordPress seamless and pretty easy. After you set up your account password for Bluehost, you can pick some themes. Personally, I like to do this on my WordPress site, so I will skip this. From here, Bluehost directs you to “start building” your site. You get to customize your WordPress site for business. At any time you can change the options later on. 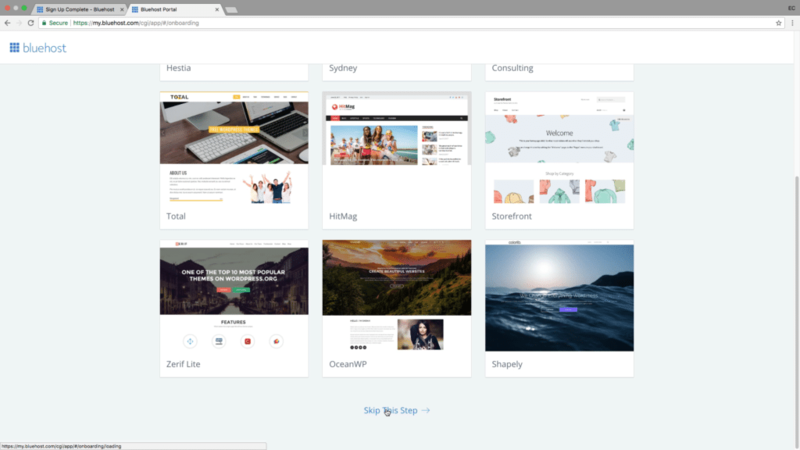 For example, you can decide the layout of your homepage. Do you want a static page or a blogroll. I suggest having a static page like my Innovative Ink website. It welcome’s prospects to your site and they aren’t bombarded with recent blog posts. Bluehost installs the default WordPres theme if you don’t pick one right away. But, when you’re ready you can start customizing the theme you end up choosing. You can add a logo, change the header image (if your theme has one) and create your business pages. This is the default WordPress theme and on the side is my menu to customize this theme. 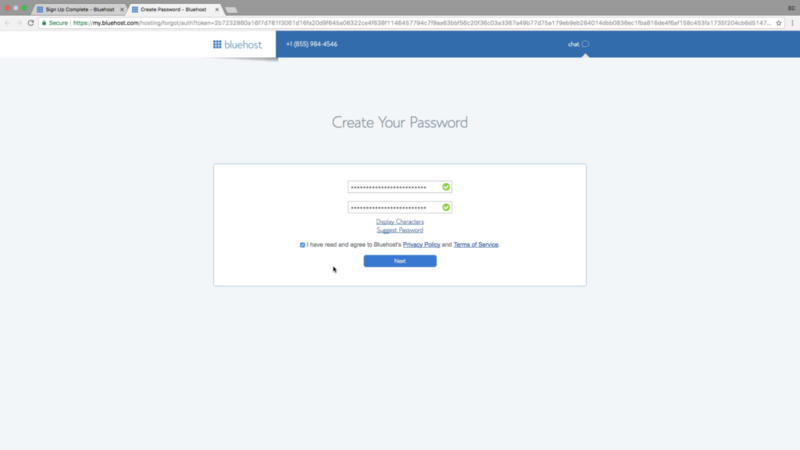 Bluehost has made it super simple and easy to log into your account. 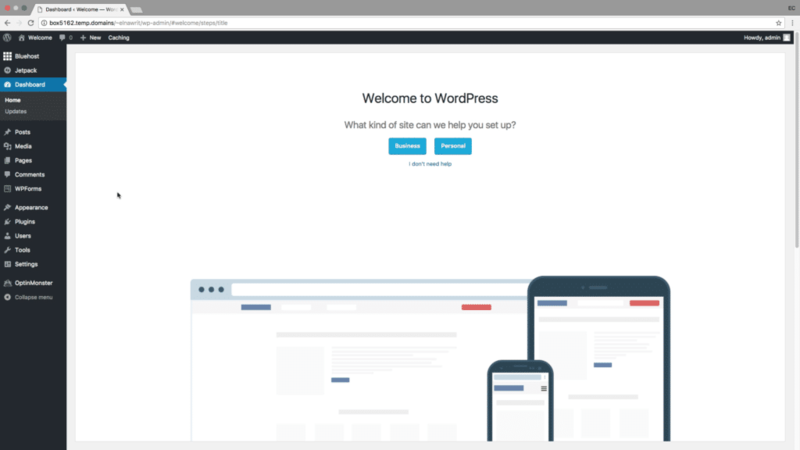 They’ve created a beautiful control panel and with one click of a button you can login into your WordPress site. You are one step closer to getting your website up online! Are you excited? You are leaning how to start a business as a side hustle! Over time it can be your main way of living like me! Getting a website up is one of the first steps for a new freelance writer. This is your home base and is where you lead prospects to so they can hire you!! Yay! When you start your blog for your service-based business, let me know in the comments. I would LOVE to see it! Thanks alot for the awesome information that you shared on this post. I personally think it’s one of the best I ever have come across in terms of blogging and web site developing. I use to blog on steemit and still do sometimes. The problem with steemit is format and some technical stuff. Looking forward to learn more from you after my Email classes from you. Thanks alot and God bless you and the twins. Thanks so much for coming over to my blog! So happy you enjoyed this post on how to start a blog as a freelancer! It’s one of the best ways to attract clients! Hi Elna, i tried creating a new site on Bluehost. i mistakenly registered a domain that is already available, now i want to know how can i reverse this without additional payments? I’m sorry but I can’t offer any help! Maybe contact Bluehost? I’m interested, and asking… what’s wrong with staying with WordPress re hosting, please? Having a “free blog site” like WordPress.com looks to potential clients that you have a hobby site. It’s not taken professionally. It’s like going to get your haircut at your friends house or at a hair salon. Both still cut your hair and your friend may be a hair stylists, but more people will go to the salon. Great post, Elna! I’m doing your Write Your Way to Your First 1K series and I’m enjoying it a lot. I also just got my new Gravtar…. Enjoying seeing your comments and face! Glad you are following the lessons in Writeto1k! Hi Elna, I’ve been writing for 10+ years and I can’t believe I’ve blogged on other platforms but have never made time to blog on my site. I’ve found your website and advice immensely helpful as I plan to relaunch soon! Thanks for the tips! Thanks so much! Yes, writing on your own blog is a great way to grow YOUR brand and platform! Have fun starting a blog! Awesome post! So much helpful information here that anybody can take and use right away. Thanks for the post! Hi Elna. I am so tech-dumb. I’m trying to set up a blogging site but I don’t understand terms like URL or dashboard. I need more info on how to set up my website. Can you help? Well, it seems you need to understand blogging terms. I’m sure there is a YouTube video or blog post out there that tells you all of this. Just search “blogging terms for beginners” to see what you get! Hi Elna! In the process of taking your course and the information is great! I am focused on free lance writing as PT work. I have interests in many areas which I would like to blog about, and I also have some thoughts about starting a separate on line service business. This is a great step by step tutorial on how to start a blog, anyone can learn something new from it. Ill share with my friends so they can too begin this blogging journey! Thanks! I’m glad this tutorial on how to start a blog for your business was helpful! Good luck finding work as a freelance writer! Hi Elna! In the process of taking your course and the information is great! I am focused on free lance writing as PT work. I have interests in many areas which I would like to blog about, and I also have some thoughts about starting a separate on line service business. How do I combine all of this into a vehicle to get started? Getting my niches, website, and blogging all mixed up. I’m so glad you are enjoying my course! I think you have to decide if you want to focus on freelance writing or blogging. I think freelance writing would be a quicker way to land money and then after that you can start a passion blog! That’s what I did! I freelance wrote for two years or more before I started Twins Mommy! I was thinking that blogging would be the first stepping stone before freelance writing only because I don’t have a portfolio and I lack the confidence to land a freelance job. I had purchased a membership with a company that makes finding jobs easy but as I read more about what freelance writing was I felt overwhelmed. I thought maybe I should get some stuff under my belt before I invested in a service that was just going to be there. So I asked for a refund and planned to go back to it when i’m ready. Now, you’re saying that freelance is a quicker way to land some money so now I’m double guessing myself. Please HELP! Sorry you are second guessing yourself. What I did was start a freelance writing site WITH A BLOG. So the site promoted my freelance writing business and my blog was my way of practicing writing. I also worked on pitching to guest sites. So I suggest you try that route. Get comfortable blogging but have the pages to promote your service! Very detailed, step by step strategy to start a blog business. Simple enough for beginners. Thanks! Glad you liked the breakdown on starting a blog for your business! Hi Elna! I am happily overwhelmed with the amount of information on your page! I am sending out cold pitches, pitching on job boards, and hope to land a gig in my first month! Thank you for the inspiration, and constant motivation! Good luck with your freelance writing strategy! Starting a blog for freelance writing is a great way to start attracting that right client!! I am working my way through your course and find it is full of invaluable information! 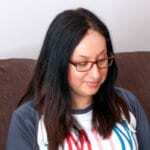 Before I found you, I had started a WordPress blog, olddogcoding.blog, which is about the wonders of moving to the country after a lifetime living in the suburbs of a large city. 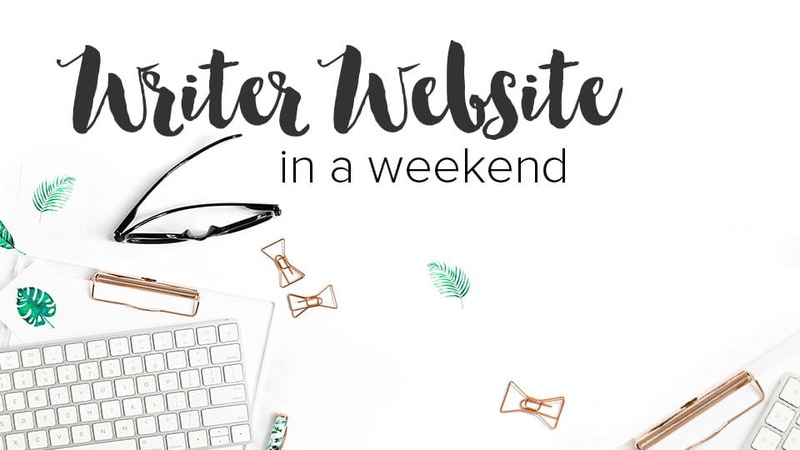 While this is my particular favorite niche, I am not sure if I will want to have my writer blog (still a work in progress) to incorporate it or if I want to start a new blog more geared to the writing business. Any thoughts? Thank you for your course and your support! You have such amazing insight on navigating the world of freelancing. Thanks for sharing all of your available resources to make life easier for those of us who wish to make the change from day job to freelance freedom. You’re welcome! I hope you enjoyed this post about starting a blog! WOW!! Amazing Article. Super simple to follow. Hi Elna. I love all of the information you provide. The step-by-step instructions you provided in this article will certainly help me get my bog up and going. Thanks. Mai here from the Philippines! Just stumbled on your website today and finished reading the above blog of yours. I hope to create my own website today through the help of your blog. Thank you for sharing your talents to everybody esp. To us as mothers. I will keep you posted for any progress I will have in building my online business and to follow/ patronize your website from this day on. God bless you always, Ms. Elna. I thoroughly enjoyed this article. However, I have a question. Can I blog on my freelance writer website or do I need to get a new domain and hosting plan for it? I’ll like to start a blog on my freelance writer website because that way I can save some for college (right now, I can’t afford to buy a new domain and hosting plan for a blog). Sure you can! You can blog on your writer website. I did that for the first year or so! Setting up a blog or website is one of the best things I ever did, and I encourage others who’re interested in blogging and freelance writing business to go same route. However, before setting up your website, you need to find your niche. As you mentioned, you can start with a niche you have a passion for. That’s a great idea, but for me I believe that one should try to keep a balance between passion and profitability. For example, what will you do if the niche you have a passion for cannot help you pay the bills? In this context, I suggest you find a niche that is profitable and start practicing your writing. You can always talk to Bluehost as they are extremely helpful. I do know they accept PayPal but maybe not in certain countries! I’m glad you were able to figure it out! Thank you for this article! I’ve used Bluehost before for a website I made for a political group in DC and I can attest to their 24/7 customer service. My website went down at 9:00pm on a Friday and I called their number and had a real person assisting me for the next two hours as we tried to figure out what happened. They’re definitely a great company. Thank you Elna for this great post. 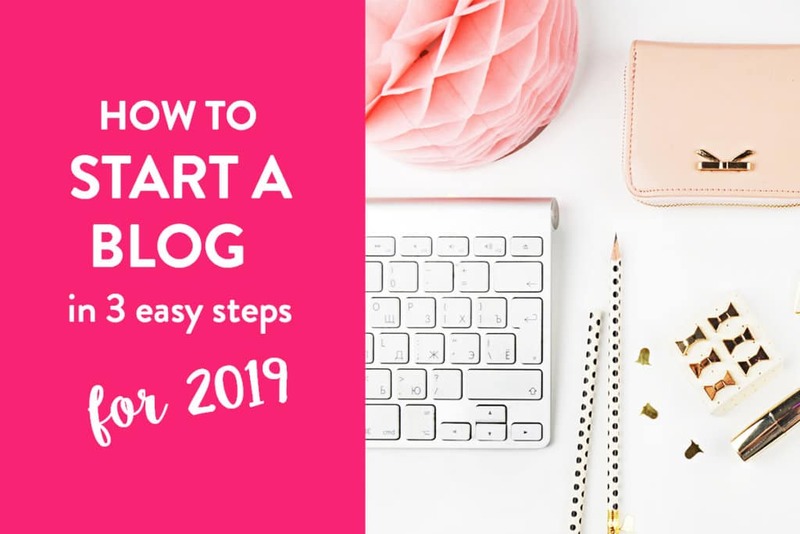 I think the major challenge most first-time bloggers have is figuring out what to Blog about and you have covered it in a way everyone can understand. The next challenge is a name for the domain which you have also covered. I had both problems while starting out and would wish others do not make the same mistakes. Thank you for being of help and I am sharing. This is Shontel Carter. I recently created a Gravatar account. I am participating in your Write Your Way to your First 1K course. I am currently in module 2, and I am looking forward to implementing my skills after this course. I just started with WordPress and Bluehost. I’m so lost at how to go about it. Your write up has helped me some, but sure could use some more help. I’m Deaf and my husband and I are living in our RV full time . I love writing and want to get payed for my work. My husband says I need to find something I enjoy doing. 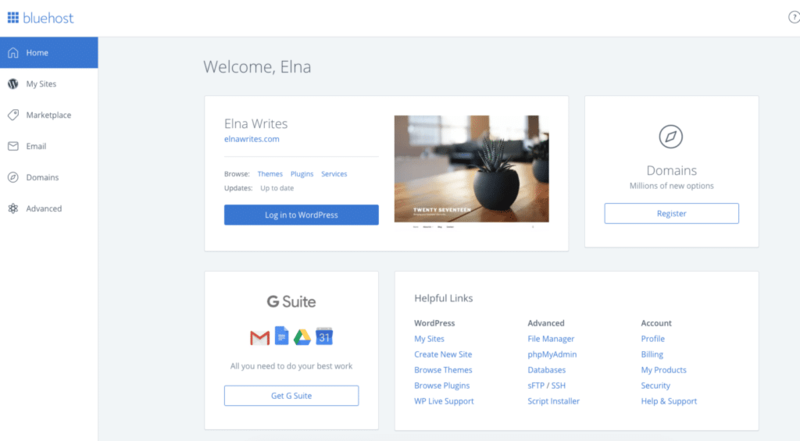 hi Elna, what’s the best wordpress theme to get as a newbie? should I get a free one from wordpress or should I buy one, and which one is the best? 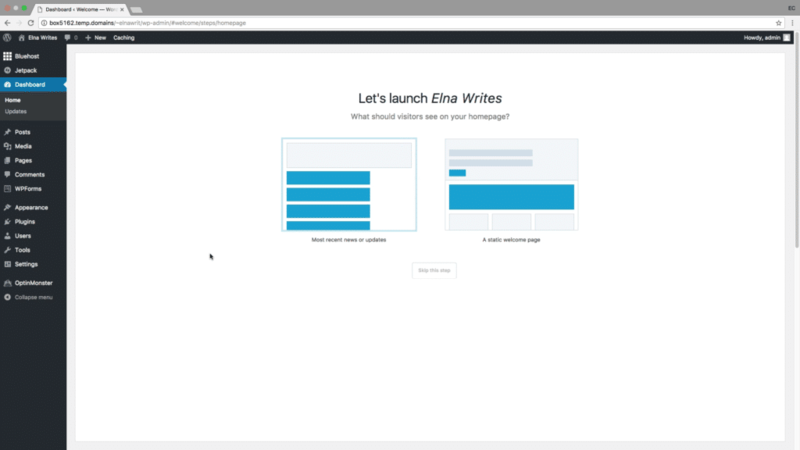 hi Elna, when you started you your blog which theme did you use? 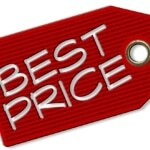 do you advise that we buy website theme? When I started I used the Skitch theme from WordPress. It was free. Loved this post. Definitely helps beginners like me to set up my blog. Thanks so much! Glad you found this start a blog tutorial helpful! You’re welcome! Glad you found it simple! Hello Elna! Thank you so much for sharing! This article really helped me to build my blog from scratch. So much good information; I really enjoy reading you. Your experience and success are really nice to see! That’s awesome! So glad this tutorial to start a blog is helpful! Great post as usual, Elna! Thanks so much! Glad you found it useful! Hi Elna! I just finished your tutorial “Freelance Writing Prep” and I am amazed at how much information I could glean in less than an hour’s time! I have started my business website at cmwheary.wordpress.com and would love for you to check it out. Thank you!! Thank you so much! I’m glad you enjoyed the Freelance Writing Prep class! I took a look at your site and it has great “bones.” Can you add a services page? That can help direct prospects to what you offer! But, it’s a great start! Thank you so much for those kind words! I feel you WILL be successful as you are laying the foundation to a strong service-based business! Way to to! Hi, Elna – Thanks so much for all the great info! 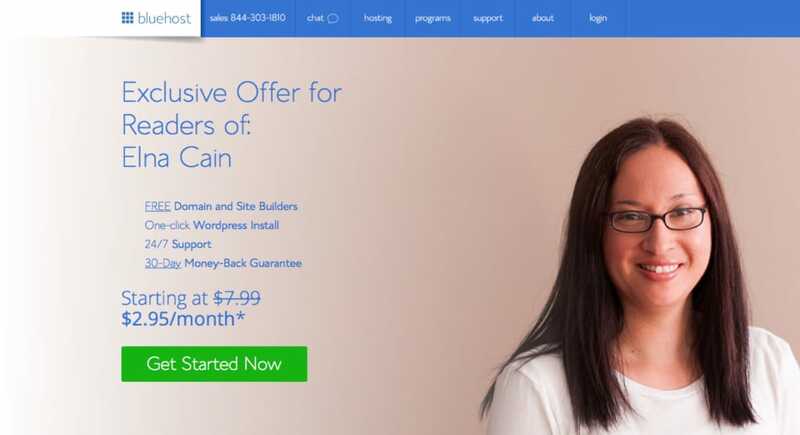 I want to break into freelance writing, and I have signed up on WordPress already – can I still install/use Bluehost? I’ve applied to a few jobs through ProBlogger, but haven’t heard back yet (it’s only been 24-72 hrs). I’m trying not to get discouraged! I’d appreciate any feedback you could give me. If you have a WordPress.com site, then you can sign up to BlueHost for a self-hosted site. You can ask them how to switch from the .com to the .org platform for help. I highly appreciate your article, thank you very much for sharing. I am definitely very excited to start my very own blog, using your tips and advice. Wishing you continued success on your business. That’s great to hear. Staring your own business blog will help you get those clients you want! So, I have a question. I happen to have a lot of famous musician friends & some not so famous ones who follow me on twitter & IG. Music has been my passion & my job in some capacity for well over 20 years until I had health issues & my mom had Alzheimer’s. So, I’d like to focus on that, but how do I make it a paying gig? I would first start getting some guest posts in the music niche or write posts and link to those influencers and other big music industry brands. Then I would position myself as a music educational writer or something like that and start cold pitching. You may have to define your client type but realize you may have to step out of that. For example, if you can’t land gigs with big industry experts, you might want to collaborate with up and coming new artists. I hope this helps! Hi Elna, your content is amazing, all the time, You always provide information that answers everything especially for newbies like me 🙂 and by the way I’m obsessed with your blog, very informative!!! Aww! Thanks so much! I’m glad you enjoy my posts and find them helpful. I know, right? I wanted to check something and I wanted an answer immediately so I hopped on the phone and a very friendly person helped me out within 2 minutes and I couldn’t believe it! I am so glad you’ve come up with a blog post that lays out the process for setting up a blog with your own domain as a freelance writer. I got quite a few prospects come to me after finding posts on my blog. I can say that it definitely works – I can’t encourage this enough. That and getting domain name privacy. I can’t tell you how many scammy phone calls I got when the privacy on mine ended. I got the privacy again really quickly after that, needless to say. Thanks so much! That’s great you got the domain privacy protection. It is necessary I believe!! Glad you found some tips to start a business blog! Hi Elna, always a pleasure to read your content. Just to let everyone here know that I am a member of Elna’s write to 1 k and it has been an amazing journey so far. But this here is also gold as it has helped me get my blog started. Thanks a lot Elna and I look forward to following your work in the future. I must admit that this is one of the best posts on the web for newbies helping them to start a blog. It really contains everything they need, from beginning to the end. P.s the video was great and it really added lots of value. Thank you very much. I’m so happy you found some tips to help you get started. Love your blog btw! For me, the most important part is the first one, Figure Out What You Want to Blog About. Especially when you start, and you don’t have the resources to outsource your writing. So picking a niche you are comfortable in is a must. You’re right. But, you can start a blog and discover your niche too! There are many ways to find that paying niche! Thank you so much for your article. I am new to blogging and I recently started with a wordpress site. Your step by step process was really helpful. You’re welcome! I’m glad you found some tips to help you out! The first step to being a professional writer is having a professional website! Very informative as usual, Elna! You have always provided such great tips for aspiring bloggers! Thank you Allison! Glad you enjoyed the post on starting a blog for your business! I’m wanting to start free lance writing and found your article very informative. Thanks so much for sharing your expertise!!! I’ve been using Bluehost for a couple weeks now and I absolutely love it! Can I share it to facebook if you don’t have any problem with it?